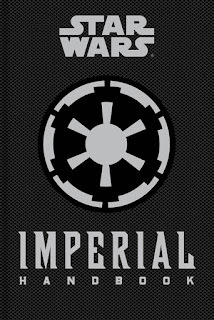 They have supposedly brought order and peace to the universe from the ashes of the devastating Clone Wars, but in the process deliberately stripped planets of its peoples, technology and raw material to feed its burgeoning Imperial war machine. 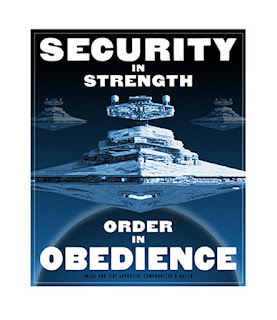 The First Galactic Empire's near twenty-year reign is no cause for joy or celebration to the people it supposedly protects, spreading its terror- enforced control and oppression across the stars like a virulent plague- its harsh and xenophobic ruling laws, decreed by the isolated and unchallenged Emperor Palpatine, initiated through thousands upon thousands of ambitious enforcers. The Empire's latest and ultimate information propaganda tool/doctrine compiled for its planetary and space command divisions will, surely, become not just a showcase for the continuance of Empire's evil means and the implementations of their long-term tactics/ ideologies. But should its valuable information fall into the wrong hands, it could also unintentionally become part of a unique and vital rallying call-to-arms by those pockets of isolated yet growing in strength resistance cells working against the odds in defying their rule of. Whoever holds this handbook in their hands may ultimately prove key to either the Empire's continuance or it's ultimate destruction! Daniel Wallace's latest instalment in his detailed and acclaimed handbook series exploring key aspects of the STAR WARS universe- this one dedicated to the evil-doing of the Empire, and packed with a glittering array of fantastic illustrations, schematics and tactical illustration work via some of LUCAS BOOKS most accomplished artists (including Chris Trevas and Russell Walks) - is another must-have book for fans, arriving in the UK from 7th August, 2015. You dare oppose us?! Art by Russell Walks.